MUMBAI, March 22nd, 2018: Dickenson Seagull IR & Dickenson Financial PR, standalone IR and Financial PR divisions of Dickenson, have been awarded the Capital Market Communication and Engagement mandates from Confidence Petroleum India Limited. Dickenson will work with Confidence for its investor stakeholder engagement through strategic media and direct institutional investor outreach. It will leverage the team’s multiple specialisms in Corporate Communications, Media Relations, Investor Relations and Content Development & Dissemination – to originate and amplify targeted stories that resonate with Confidence’s different stakeholders. “We’re delighted to take on Confidence Petroleum India as the latest addition to our client portfolio, as they are India’s largest private sector LPG bottler and a leading standalone chain of Auto LPG stations. We are particularly excited about their recently introduced light-weight and blast-proof composite LPG cylinders for both domestic and commercial LPG use.” stated Mr. Manoj Saha, Managing Director, Dickenson World. Confidence Petroleum India Limited, listed on the Bombay Stock Exchange (BSE) is India’s leading private sector LPG retailer. Confidence Petroleum is India’s largest manufacturer of LPG Cylinders with a capacity of manufacturing 5 million in 15 manufacturing plants, has 58 Bottling plants, 124 Auto LPG Dispensing stations, and a fleet of over 150 LPG Transport capable vehicles. The company’s employee strength is over 3,000 people and its customers include public & private sector companies such as IOCL, BPCL, HPCL, SAIL, Reliance, Shell, Total, etc. 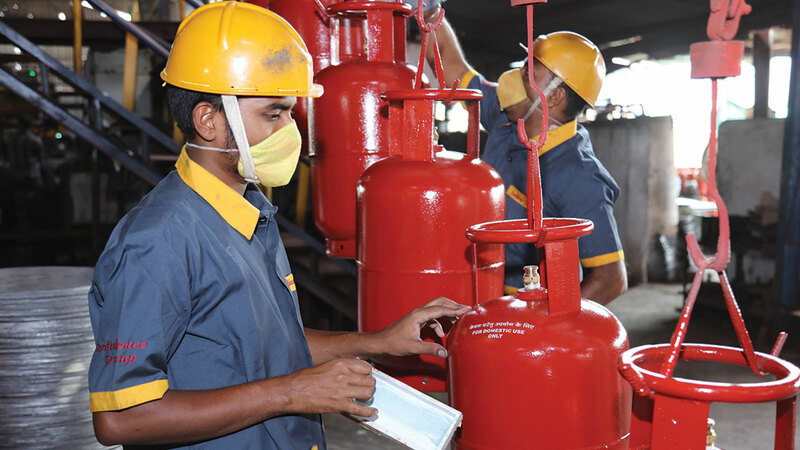 The company markets LPG under the brand name “GoGas” and has recently introduced light-weight and blast-proof composite LPG cylinders under the brand name “GoGas Elite” for the domestic and commercial LPG use.